No, Tiger Zinda Hai will not stop at the box office - at least its undeterred performance at the box office says so. 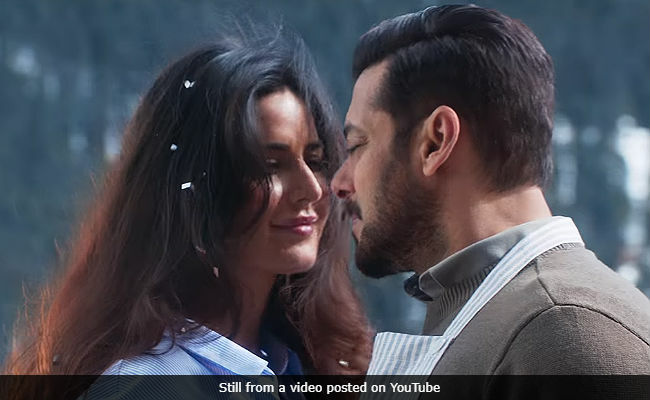 This was the third Sunday for Salman Khan and Katrina Kaif's film, which currently stands at Rs 309 crores and counting, reports trade analyst Taran Adarsh. On its third Sunday at the box office, the movie made over Rs 8 crores. Tiger Zinda Hai is also on its way to become Salman Khan's highest-earning movie. "Tiger Zinda Hai has a SMASHING third Sunday... All set to be Salman Khan's HIGHEST GROSSER... [Week 3] Fri 3.72 cr, Sat 5.62 cr, Sun 8.27 cr. Total: Rs 309.16 cr. India biz," tweeted Mr Adarsh. Here's a recap of sorts of how the movie performed at the ticket counters in past weeks - the first week saw the movie make Rs 206.04 crores while Rs 85.51 crores is what the movie collected in its second week. On Rs 17.61 crores is what the movie made on its third weekend. #TigerZindaHai has a SMASHING third Sunday... All set to be Salman Khan's HIGHEST GROSSER... [Week 3] Fri 3.72 cr, Sat 5.62 cr, Sun 8.27 cr. Total: Rs 309.16 cr. India biz. #TZH #TigerZindaHai biz at a glance... Week 1: Rs 206.04 cr Week 2: Rs 85.51 cr Weekend 3: Rs 17.61 cr Total: Rs 309.16 cr India biz. #TZH BLOCKBUSTER. Tiger Zinda Hai proved that Salman Khan has still got his swag absolutely on point. His previous movie Tubelight may have underperformed but Ek Tha Tiger turned out ot be a blockbuster. In Tiger Zinda Hai, both Salman and Katrina reprise their roles from 2012's Ek Tha Tiger and is about Zoya and Tiger's new adventures. The movie had already reached the status of a blockbuster on the eve of Salman's birthday, who then said: "The love that the movie is getting right now only validates the efforts everyone put in to make a really good entertainer. I congratulate Katrina (actress Katrina Kaif) for her extraordinary performance and Ali (director Ali Abbas Zafar) for his vision and awesome direction to pull off Tiger Zinda Hai." Salman Khan will next be seen in Race 3.